In making its third annual report on its 16 European book fairs in 13 countries, the Aldus network—which is based in Milan—is providing a useful comparative tool to offer a better picture of where book fair and trade show activity stands in Europe, and how various major events are categorized and functioning. What’s more, in June of this year, the program created a new global directory of translation grants—as reported by Publishing Perspectives. A useful development in the evolving annual report on its 16 member fairs and trade shows allows us to assess several comparative features of the membership events which were, in the past, more difficult to discern. None of the comparative points we draw here are meant to be pejorative, by the way, but informative. 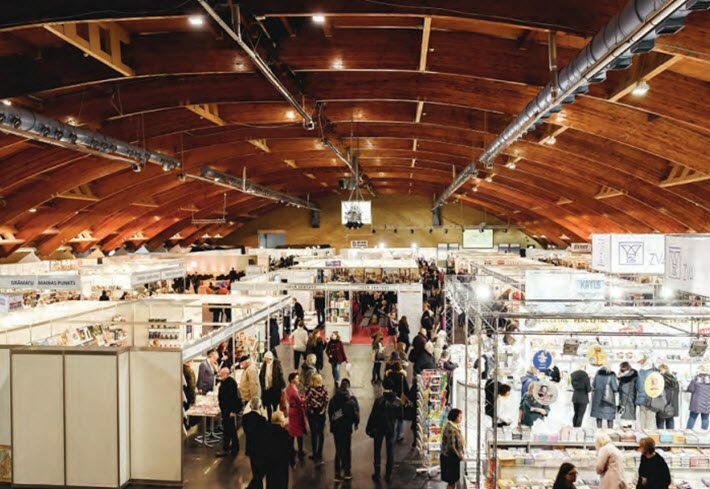 On the face of it, “16 book fairs in Europe” might sound like a collection of quite similar events with folks milling around book stalls and publishers, booksellers, and authors vying for the public’s attention. But in fact, the nature, audience, size, intents and activities of these programs vary widely. The service Aldus provides with its annual year-end report is that of context: we start to get a higher-level picture, and various elements of the international industry can use this to make better informed decisions about which events they might profitably devote resources to. After Madrid, the largest attendance figure at a public-facing fair belongs to Lisbon Book Fair, with a tally of 492,000 visitors. 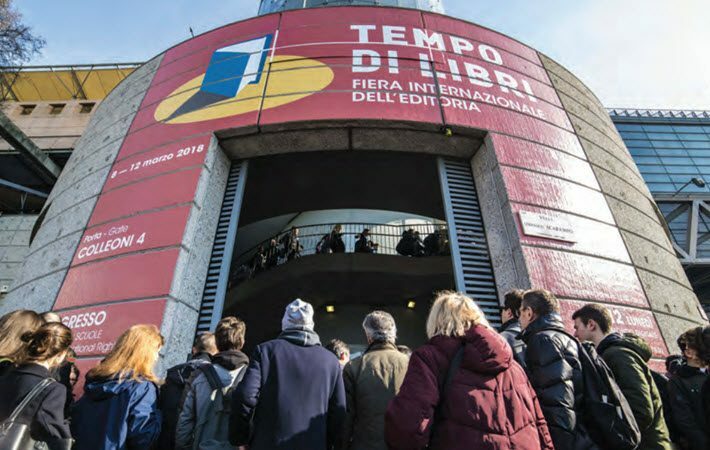 Only three of the 16 fairs classify themselves as entirely for professionals–Liber International, Bologna Children’s Book Fair, and the London Book Fair. 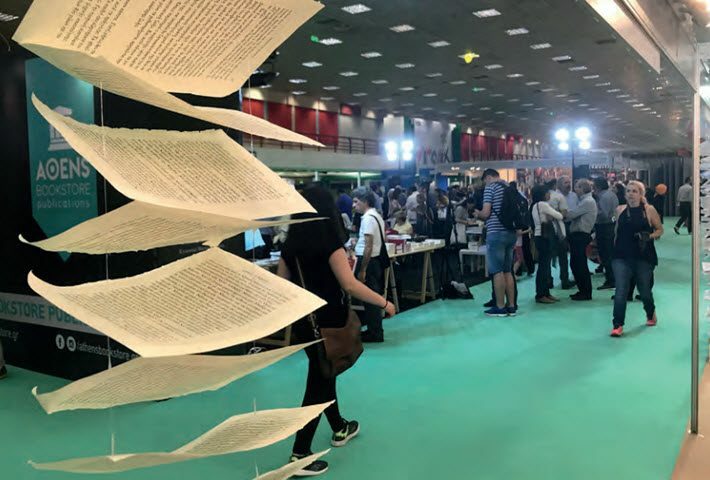 Five fairs, however, categorize themselves as having elements of both public and professional programming: Bookfest (Bucharest), the Frankfurter Buchmesse, Göteborg Book Fair, Tempo di Libri (Milan Book Fair), and Thessaloniki Book Fair. In reported numbers of exhibitors, the Frankfurter Buchmesse retains a sizable lead with 7,309 exhibitors reported this year. The next largest number of exhibitors was found at London, listing more than 2,300. 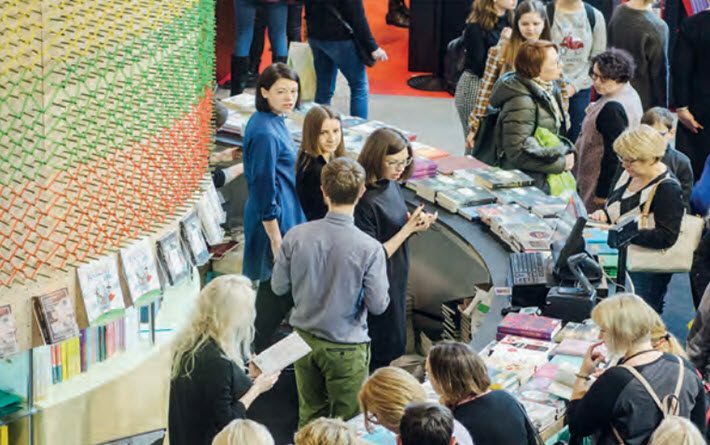 Riga Book Fair has the smallest reported number of exhibitors, at around 94. All but two fairs—Madrid and Vienna—report having no B2B area of some kind on-site. All but three fairs—Lisbon, Madrid, and Sofia—report having professional programs. Bring your tape measure along and you’ll find that Madrid Book Fair and Tempo di Libri (Milan) are reporting that their physical presentation comprises 35,000 square meters. The others report smaller footprints—Sofia at the smaller end at 1,300 square meters and Liber International (Barcelona) at 3,741 square meters. The Frankfurter Buchmesse and London Book Fair don’t report in the physical-size section, as their groundplans are so complex. In Frankfurt, the Messe complex houses the fair in many buildings, and the London Olympia facility incorporates, effectively, two buildings’ show floors as well as the conference center. Rights and licensing centers are not as common among the Aldus fairs as might be imagined at a time when rights and licensing are rising in prominence for many publishers. Nine of the 16 fairs report having no rights centers. Fellowship programs—usually devised as trips of several days to a fair and meetings with regional publishers and book industry professionals—are actually less common than might be expected, as well, among these 16 high-visibility fairs. In terms of international draw, the London Book Fair is in the lead this year, reporting 135 countries’ representatives involved, followed by the Frankfurter Buchmesse at 102, and “100+” at Bologna Children’s Book Fair. And when it comes to how many events may be offered during a fair, the Frankfurter Buchmesse is in the lead with a reported 4,000 events. The Lisbon Book Fair follows with 1,600 events, and the next is Tempo di Libri (Milan) with 850 events. The Aldus program is co-funded by Creative Europe, now one of the European Union’s most ubiquitous and effective cultural support initiatives. The partnership includes the Italian Publishers Association (AIE), the European Writers’ Council (EWC), and the Federation of European Publishers (FEP). More information on Aldus is here, and a PDF of the 2018 Fact and Figures report can be downloaded here. More from Publishing Perspectives on the Aldus program is here, and on book fairs overall is here. Thanks, Porter. These book fair overviews are invaluable. One additional data point I would like to see included is the volume and value of books sold at these events. At Madrid, for example, total sales were valued at 8.5 million euros. I also wonder why major book fairs like Paris are not contributing data to this invaluable resource. On a broader note, over at The New Publishing Standard I’ve been loosely tracking the global book fairs, and the numbers are staggering. As this year draws to a close I am tracking upwards of 50 million visitors to global book fairs and festivals outside the US/UK (over 10 million just in the Arab markets), spending many millions of dollars on many millions of books that mostly go untracked by the retail stats counters that give us the size and value of the global book markets. Taking just one example, 1.5 million people visited book fairs in Colombia in 2018, buying 1.1 million books. That’s official figures from the Colombian Book Fairs Network. Other countries aren’t quite so helpful with collating the data, but the picture emerging shows a global interest in books much stronger than the retail sector numbers tell us. It’s a shame there isn’t a body like Aldus that could try collect and collate the global book fair data at a level above what my resources permit. Aldus of course is EU-funded and therefore EU-focussed, but perhaps a calculated global perspective is something the Frankfurt Buchmesse could undertake in the future.